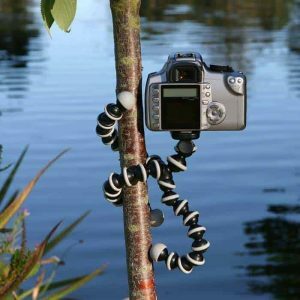 Groot GorillaPod is a flexible tripod – stable, portable and lightweight. This mini flexible tripod is everything you have come to expect from the Groot GorillaPod. Adaptable enough for the photographer on the go, strong enough to hold a telephoto lens. Add the optional ballhead for more versatility. With universal 1/4-20 screw, fits well with various of cameras, like DSLR camera, action camera, and video camera, etc. Besides, cell phone clip ( not included ) is also works. Made of the high-quality PC material, and each leg has nine black balls and socket joints, which has 360 degree rotational range, thus these flexible legs can be bent into any shape needed. You can place it on a plane or wrap it around the tree, post, and railing. The rubberized ring and foot grips provide extra gripping power to most surfaces, and allow you to bend and rotate for enhancing stability even in an inclined plane. 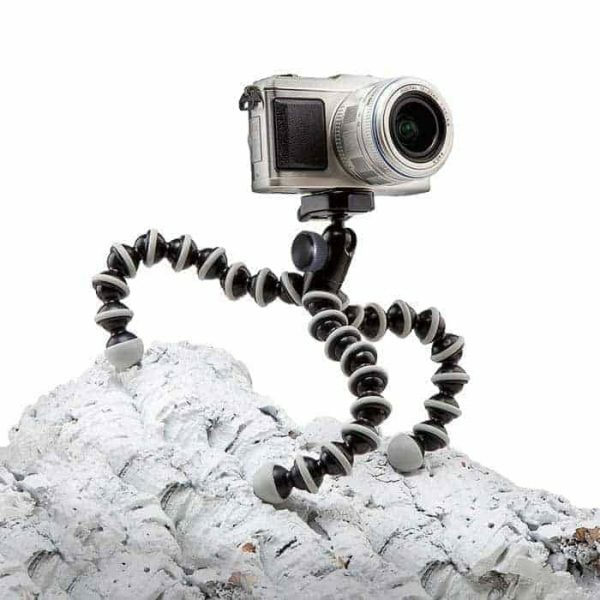 With lightweight and compact design, the large flexible octopus tripod is easy to fit into your bag and you can take it anywhere. 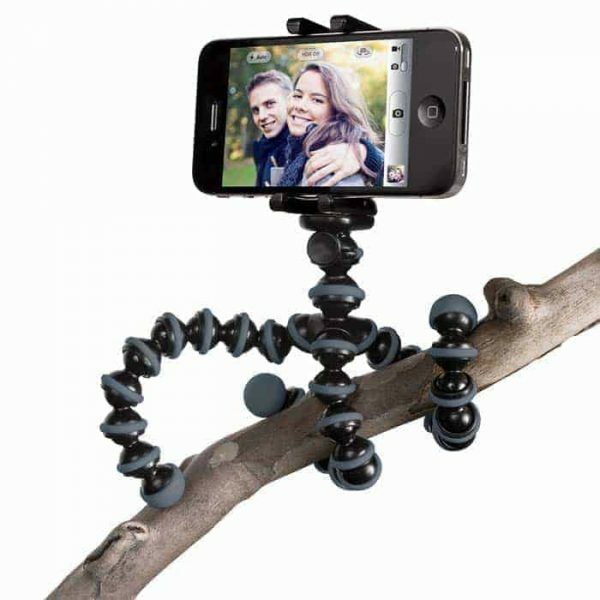 Polish your photos up with this professional photo accessory. Just simply screw your camera into the bolt on the tripod (ensure your camera has screw hole). Surely, with the quick-release plate, you can push the button to release the plate for more convenient installation. Besides the functions of ideal for taking photos and streaming live video, exquisite model, the unique shape, like a lovely octopus, changeable, could become an adornment and make you happy.